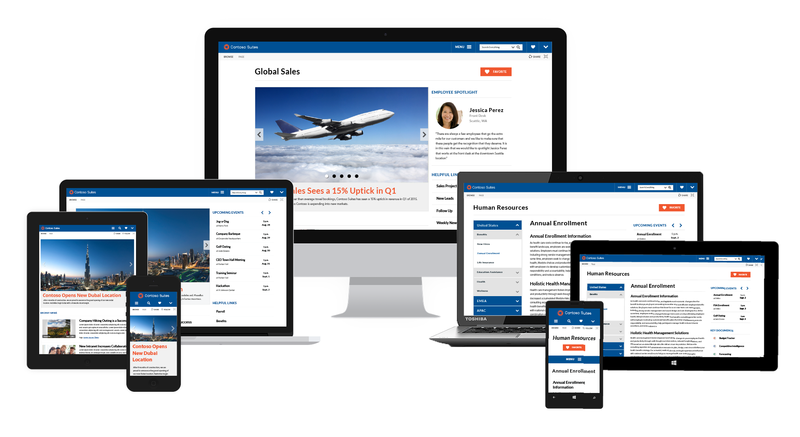 Rise Foundation is a product for SharePoint that gives IT teams the ability to easily launch and brand their corporate intranet. After spending years in the enterprise software consulting business, there became a common theme in most of the projects that we were doing. 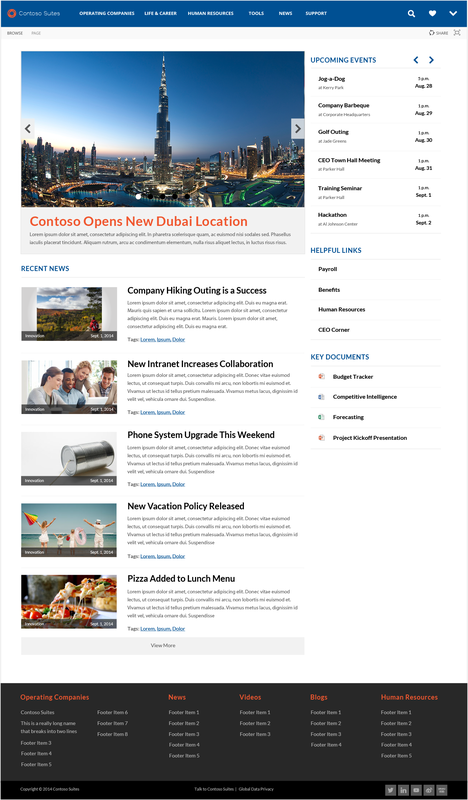 For the projects that required a corporate communications portal, most companies asked for the same functionality, which included stock tickers, featured image rotators, favoriting functionality, recent news, and more. So what Rise set out to accomplish was to put all of these features into an easily brandable package that we would sell to small to medium size businesses that required this type of functionality. 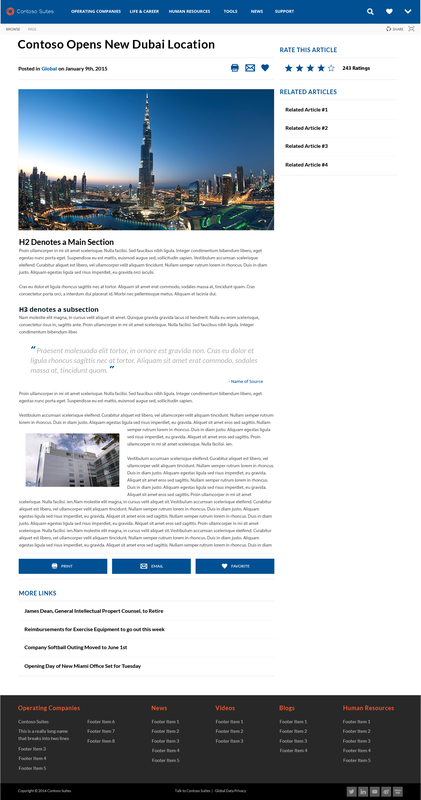 Rise Foundation was built on the back of previous research, IA, wireframes, and visual designs that the team at Blue Rooster and I conducted for previous clients. 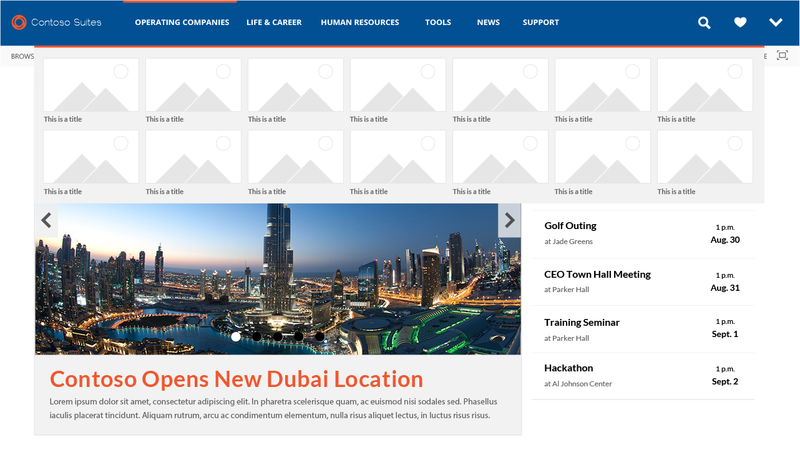 User research played an important role in the construction of Rise Foundation in that we wanted to know what employees wanted to see when they visited their corporate communication portal. We conducted user interviews with a wide range of employees, from factory workers who checked the corporate intranet periodically and on mobile devices, to desk workers who checked the corporate intranet many times a day on a desktop. There were commonalities in the features that both parties wanted, so we took these into account and began wireframing. Research Assistant: Traveled to multiple different companies with a user experience researcher to conduct group task analysis, heuristic reviews, and user interviews. This provided us with the feature foundation for Rise. 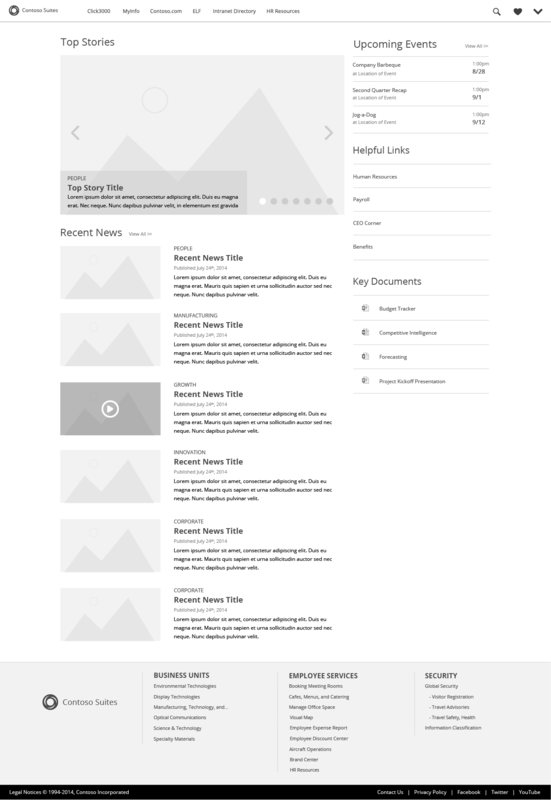 Wireframes: Created wireframes that displayed visually what we heard from our clients. This allowed us to open the dialogue as to whether or not we hit the mark with our research. My wireframes are inspired by sketches, whiteboard sessions, and communication with other designers, researchers, project managers, the client, and leadership. Visual Design: Once the wireframes were finalized, it was time to move into visual design. For Rise, it was crucial that the visual design was able to accomodate any number of primary colors, as this design needed to be outfitted with other brands colors. With this in mind, I only applied primary colors to specific areas. In my Illustrator file, I also left areas where accent colors could be applied, in case a company had two brand colors that carried equal weight. Marketing: A product is only as good as the sales that you make with it. So with this in mind, I used my video creation talents and my deep understanding of the product to screenwrite, direct, film, and edit a product promotional video, as well as a product deep dive video.